For something this significant, you'd expect a quote or a source. Its just sloppy clickbait without that. I'm not going back read, but what's the general consensus on Bumblebee as there was both consistent and contradictory info in the movie. Intentional or not I feel it was a bit of a soft reboot or they at least tidied up a few things. Its a stand alone film within a larger universe that is only slightly alluded to. Its a reboot. They just don't want to come out and say it so they can continue to milk as much money out of the other five films as possible. Motto: "I've got a lovely bunch of coconuts, deedilly dee." Yeah that's my take on it to. Probably also worried about alinetating fans of the previous films. Location: Inside the box, where I feel safe. 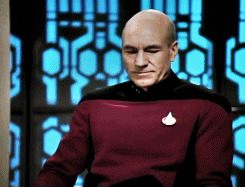 The point is there is a lot of misinformation out there and it seems fans are desperate for someone else to tell them what they are watching instead of forming their own thoughts on the matter. A lot of misinformation comes from the movies. No. I'd say they are desperate to know that the Bay movies are gone and not coming back. Ironhidensh wrote: No. I'd say they are desperate to know that the Bay movies are gone and not coming back. I can agree 100% on that but I think thats pretty nuts to think that about a film like Bee, when the main character's face has a bayverse design. In any case, we already got confirmation from hasbro (like actual confirmation with quotes and all), that the films were moving away from the storylines set by Bay and the next film in the franchise that was building on it was cancelled. The next film is already confirmed to be different, so the need for a reboot, or a cofirmation of one, is pretty moot. At least that's how I see it. But seriously, if someone's idea of an actual reboot is for Bumblebee to have the same face he did before and still turn into a camaro and have a problem with his voice, then thats a pretty terrible reboot. What is the next film? Is it bee 2 or the Cybertron prequel? ZeroWolf wrote: What is the next film? Is it bee 2 or the Cybertron prequel? Personally I feel they are trying to have the best of both worlds. Keep the established aesthetic going for this universe and retcon out the things that aren't working. I also feel it's pretty moot, but that may because I'm just not that invested in it all. I take each movie like a piece of bubblegum, enjoy it while it lasts and spit it out once it starts tasting bad. They've said it's not a reboot, so it's not until we hear otherwise. The Bumblebee movie straight up contradicted a few things and it'd be nice to have some concrete answers though. I think the quote or if not a quote the general vibe is that they are taking Transformers in a new direction. That could be interpreted as a new story or a new way to tell the stories. Personally I think they are going to try the stand alone movie thing again and keep focusing in smaller stories of individuals and do a little Marvel-like world building before bringing it all back together again. I'll just say you can never have Megatron, Starscream, Soundwave and Shockwave together on the big screen if it's in the same continuity. Literally zero good can come out of this in the long run even if individual movies are good, if their changing story direction, why stay with the universe that killed 90 percent of the popular characters? Deadput wrote: I'll just say you can never have Megatron, Starscream, Soundwave and Shockwave together on the big screen if it's in the same continuity. Of course you can, in a prequel film where the decepticons rise to power and take over Cybertron. Hey, a half a dozen or so more times and he'll be the new Optimus. Like one or two prequel movies are fine sure but literally nothing the Autobots or Decepticons do is going to matter because almost everyone is dead by TLK. Like if these next movies are prequels for sure then literally these movies do not matter, no amount of good writing or G1 design pandering is going to change that. So did anyone tell lucas that the prequel movies didn't matter before he made them? You can make that argument for any and all prequel movies. Bee is not a reboot and it doesn't need to be as it is already a good film. ZeroWolf wrote: So did anyone tell lucas that the prequel movies didn't matter before he made them? You can make that argument for any and all prequel movies. Bee is not a reboot and it doesn't need to be as it is already a good film. The point of the Star Wars prequels was the downfall of Anakin and the Jedi as well as the journey to becoming Darth Vader, the pointlessness was a big point in of itself and it's not like the Original movies were bloody despised by the fandom. I doubt the next Transformers films if they are prequels will set up the exact same thing like the downfall of Jazz or the tragedy of Shockwave the wise becoming Shockwave the idiot monster. I doubt any of the Transformers "prequels" will even acknowledged a single thing from the Bay films (Bee was already in production as a prequel don't use this film as an example) so why bother hanging on? There is so much baggage associated with these films, literally the best thing to do is to refresh and reboot, otherwise they will drag these movies down in the long run. Deadput wrote: Like if these next movies are prequels for sure then literally these movies do not matter, no amount of good writing or G1 design pandering is going to change that. Its a good thing Hasbro doesnt have your mentality because that would have meant no Bumblebee movie. FYI, that is still not confirmed. Some journalists jumped the gun with 0 evidence and misinformation. I'd give up all the thanksgiving, xmas, and new years day parades, and every parade that Disney has, for just ONE of these. 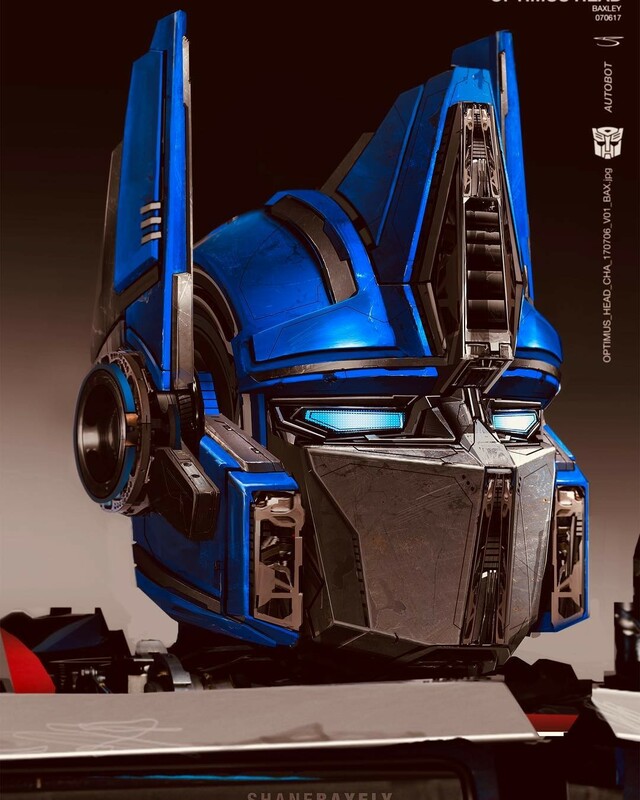 For those of us who continue to be captivated by the character design of Transformers Bumblebee, we have some possible news of interest in the form of new concept art of Optimus Prime himself. 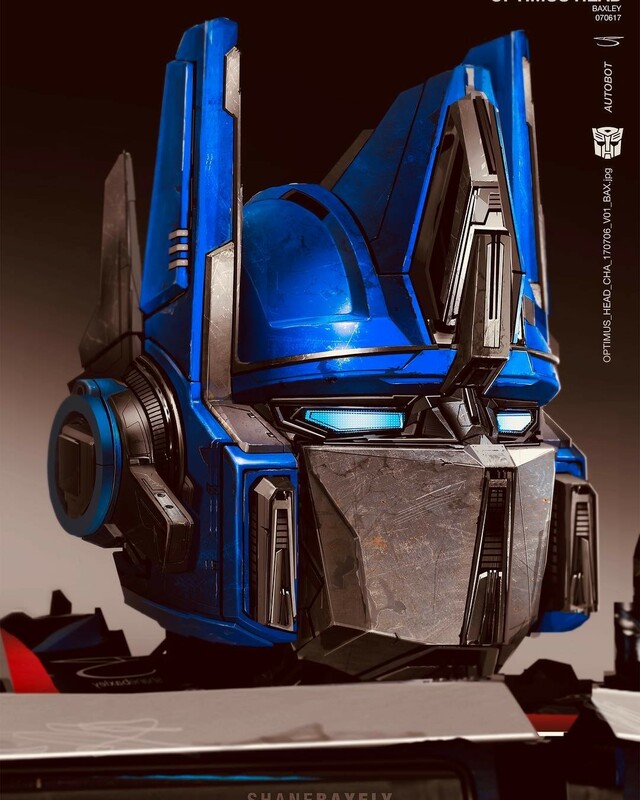 Courtesy of Shane Baxley's Instagram account, the image is a simple profile of an early Prime's face, featuring some minor differences in detailing which truly does require a side-by-side to notice. It truly does go as a testament to how decided upon the character designers were to keeping the basic designs of the original animated series in mind while drawing up their own designs. 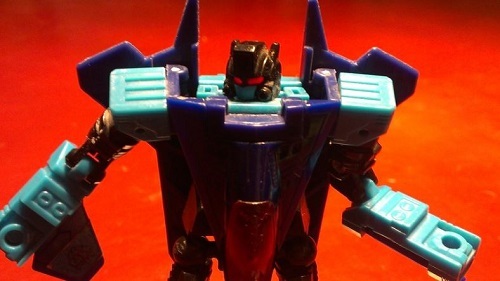 The photo is provided below, so be sure to let us know what you think in the forums below, and be sure to stay tuned to Seibertron.com for more Transformers news and reviews! 7,686 pages were recently viewed by 1,355 unique visitors. This page was viewed 1 times on Thursday, April 18th 2019 10:09pm CDT. © 2019 Seibertron, Inc. DBA Seibertron.com. All Rights Reserved. Established June 2000. Seibertron.com is owned by Ryan Yzquierdo.